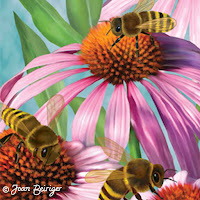 Keeping up with art trends is a never ending job for artists wishing to license their art. If they get too far behind in using trends, their art is not fresh and new looking resulting in little or no licensing deals. That is why an important task for art licensing artists is to continually research the latest trends and implement them in their art. But of course, not all trends fit each artist's art style, color pallet and the industry the art is created for. Thus, it is crucial to know when to use and when not to use the latest trends in art. Existing trends can be found by looking at manufacturer catalogs and websites, walking retail stores and trade shows, and reading trade and consumer magazines. Potentially new trends can be found through trend forecasting publications and organizations and trend forward blogs. 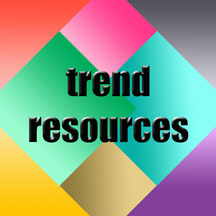 Below is a list of some resources that can be useful in finding trends. Joining the organizations and subscribing to these publications can be very expensive but some information on the websites is free. Subscribe to free e-newsletters for latest press releases & download product e-catalogs. Below are a few groups (Q & A discussions including trends) but there are many more.